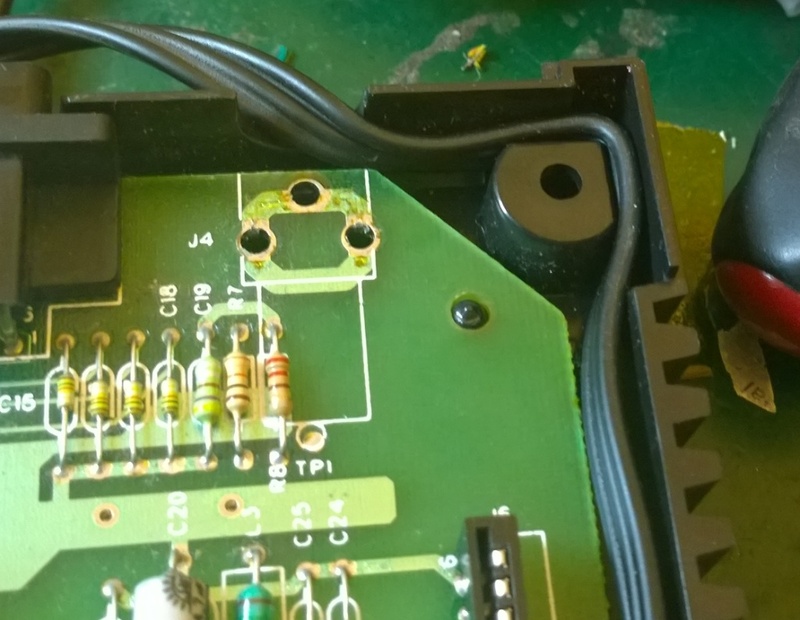 To follow up on the 2600 mod, but this time using my own pre-built composite video adaptor available here. 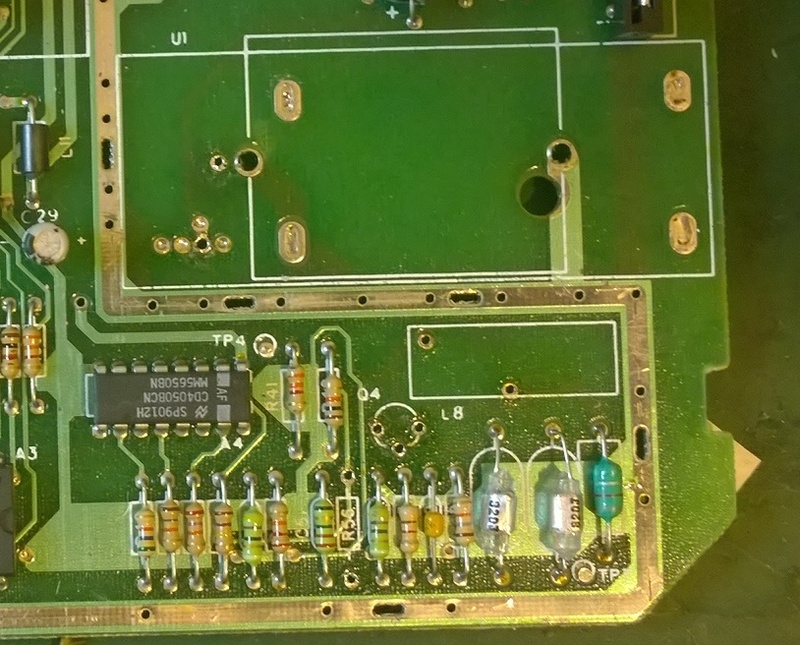 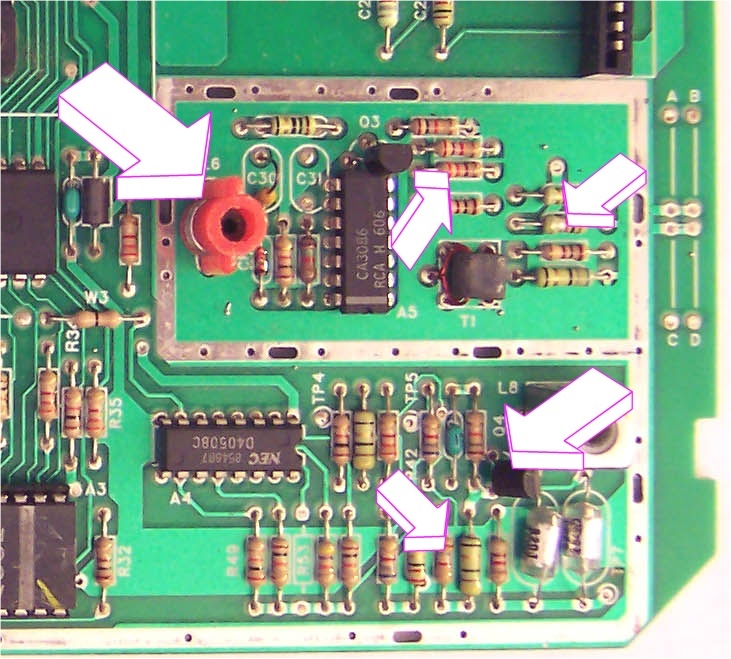 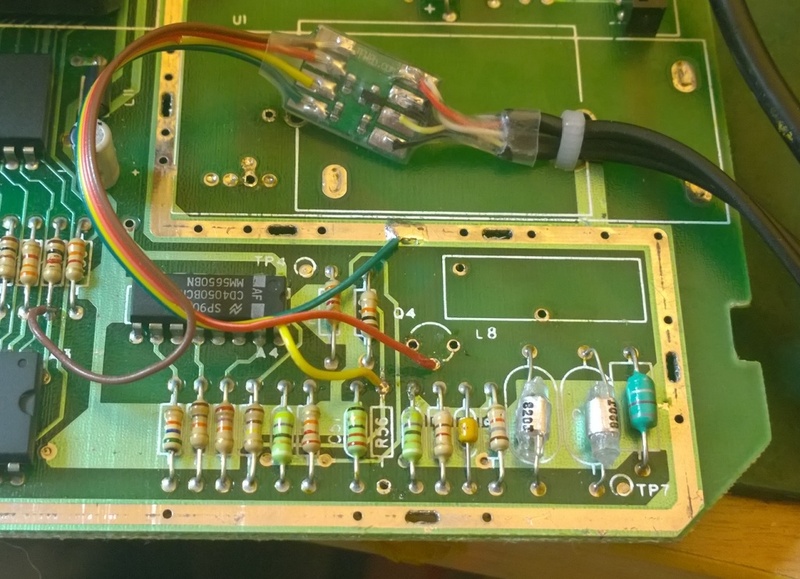 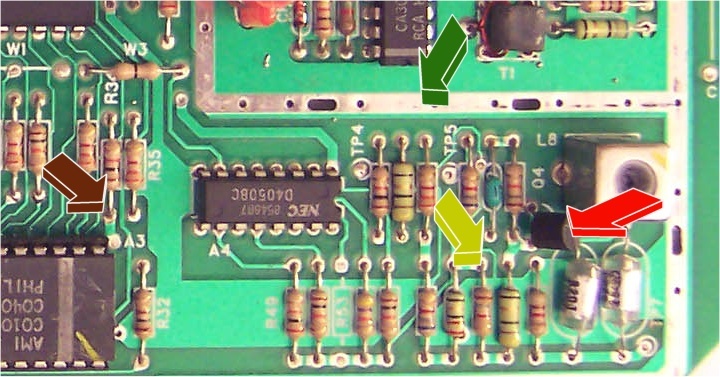 And here are the connections for the NTSC version (don't forget to remove the bits and bobs from the previous picture) NOTE Red arrow connection is the middle pin of the removed transistor (Q4) The pad to the right. 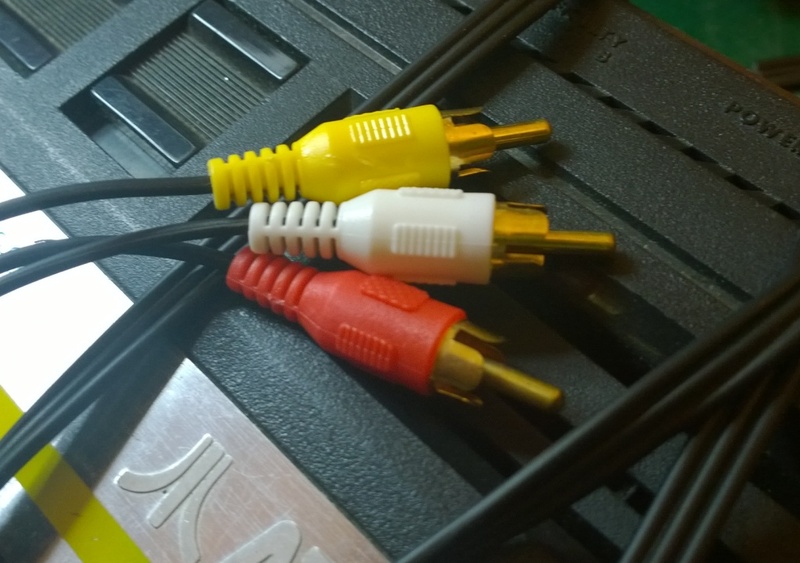 Use the corner of the case as the video cable strain relief. 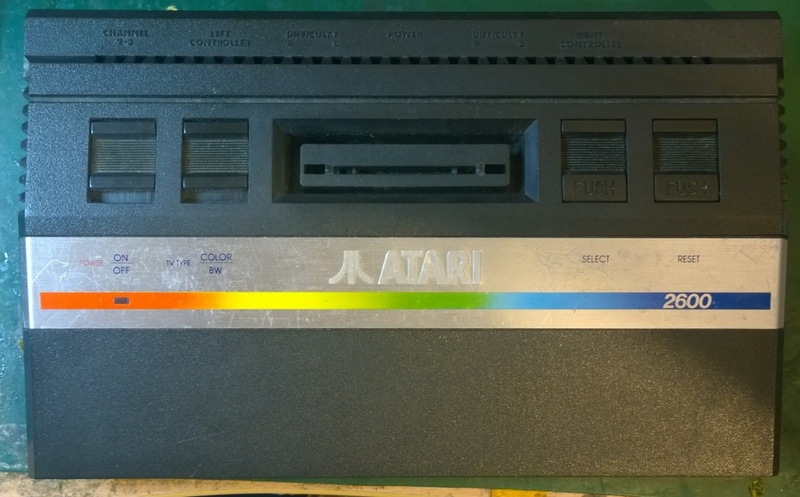 The ribbon cable should fit nicely under the tin hat when you reinstall it. 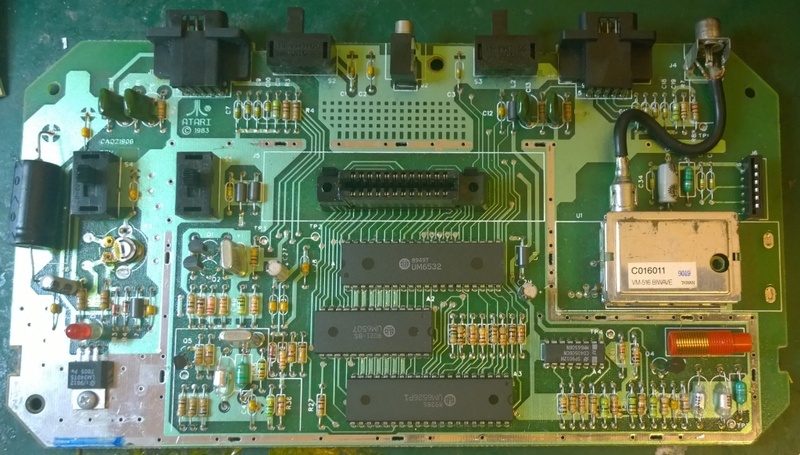 This mod is available with or without cables. 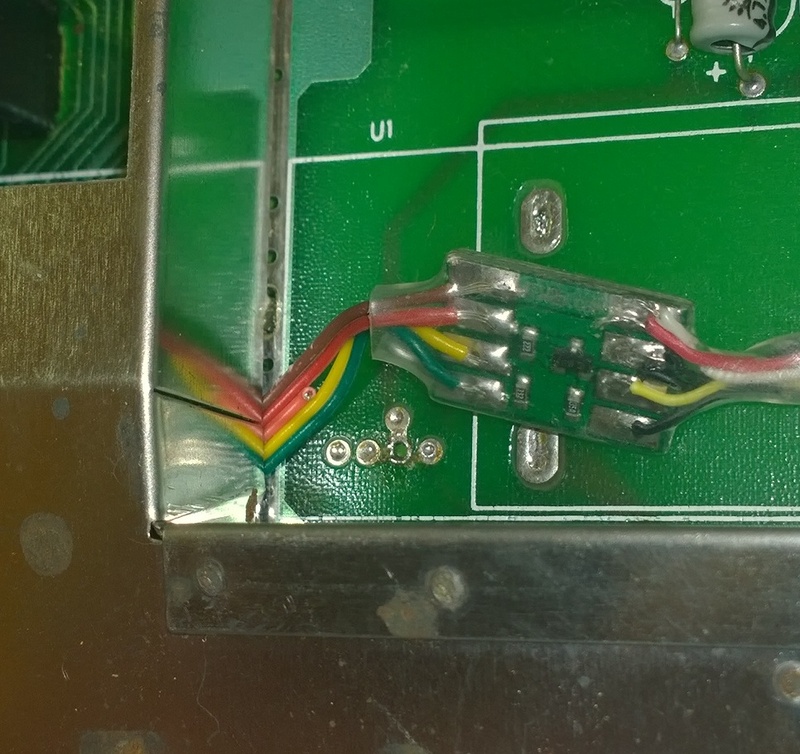 Bare PCB is ideal if you want to mount chassis terminals.